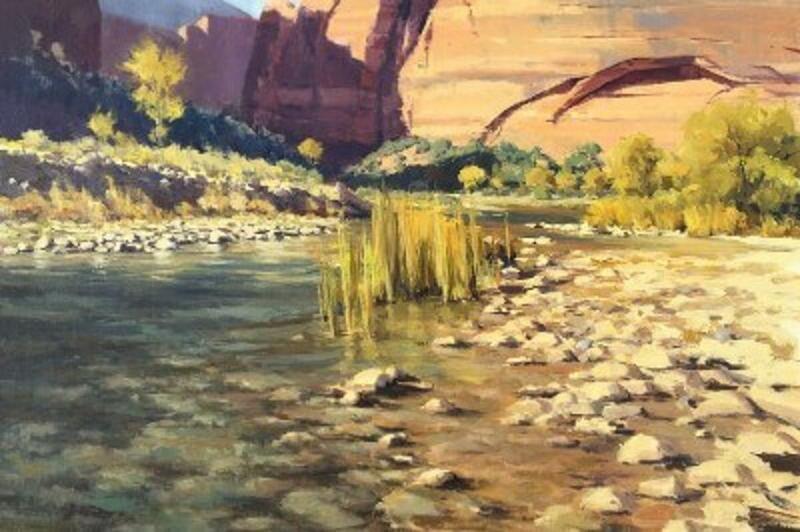 Kate Starling is an oil painter who lives and works in the canyons of southern Utah. Her paintings portray the natural world and focus on communicating a sense of place, atmosphere and dazzling light, retaining the immediacy of the painting experience. She knows the strength of emotion that the landscape seen in a particular light can trigger in her. Starling strives to paint in such a way that memory and emotion are triggered in the people who see her work. Karl Momen is a Swedish painter and sculptor who is best known as the creator of the epic 87-foot Metaphor: The Tree of Utah sculpture, located adjacent to Interstate 80 in the stark Bonneville Salt Flats region of Utah. Inspired by master of Surrealism, Max Ernst, as well as Europe’s foremost architect, Le Corbusier, Momen’s work is rooted in the visual language of formalism, emphasizing simplistic compositions, color, and symbolism. 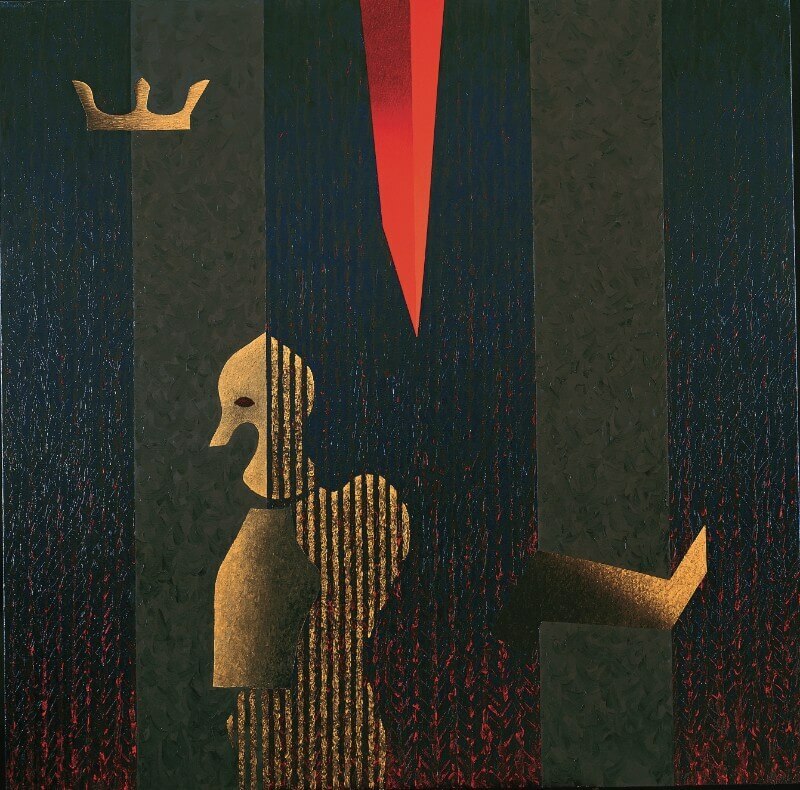 In his Homage to William Shakespeare suite, from the late 1990s, he was able to synthesize his passion for operatic and dramatic literature, with his love of the musical equivalent of these forms. 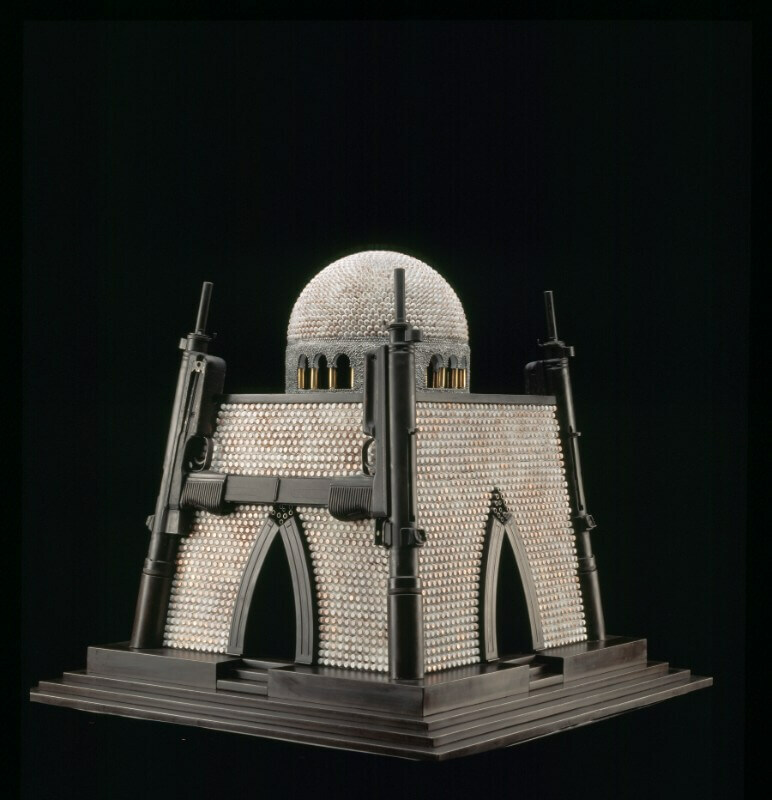 Al Farrow’s ornate religious structures, ritual objects, and reliquaries incorporate materials such as deconstructed guns, bullets, bone, glass, and steel. Farrow’s work is inspired by a trip to Italy where he encountered a reliquary containing the remains of ancient Saint Lorenzo. He noticed the Saint’s withered finger resting inside the reliquary, bent in the shape of a “trigger finger.” It was from this experience that Farrow began crafting mysterious, mesmerizing sculptures which explore the relationships between religion, violence, peace, brutality, the sacred, and the unholy. 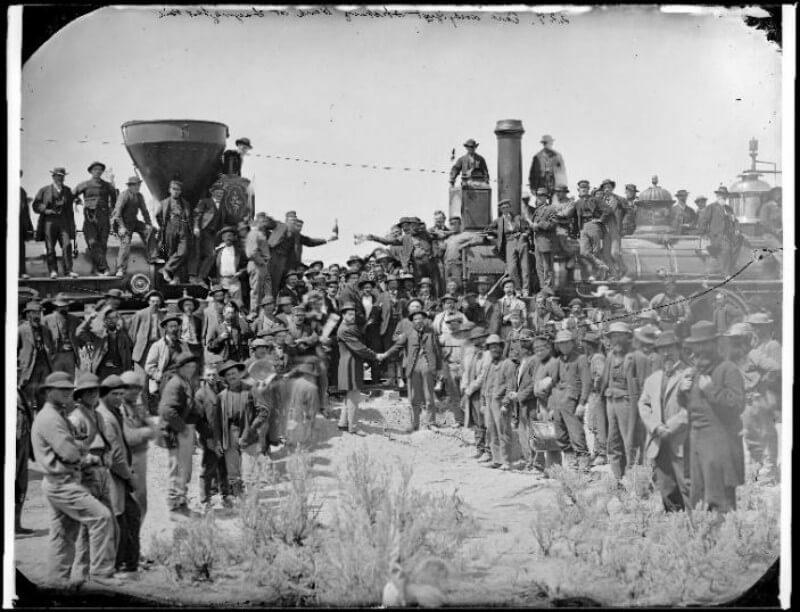 This traveling exhibition shares the story of Utah’s contribution to the completion of the transcontinental railroad and examines the railway’s transformational effects on Utah. A partnership between Utah State University Merrill-Cazier Library and the Utah State Division of History, A World Transformed will travel the state of Utah from January 2019 through March 2020. The exhibition draws upon the many rich historical resources held by different institutions across not only Utah but the Western United States, including photographs, maps, art, and lithographs.